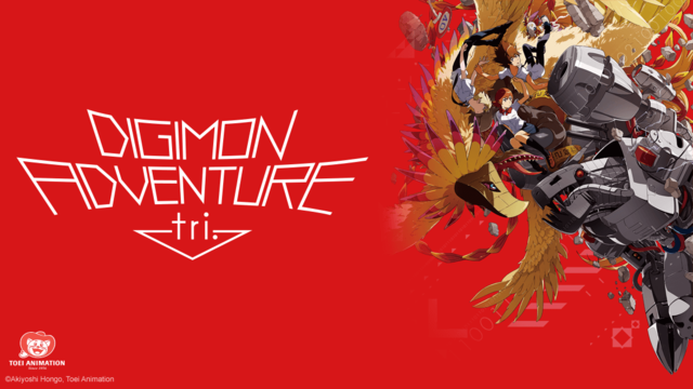 The Modern Gafa : REVIEW: Digimon Adventure tri. Chapter 4. 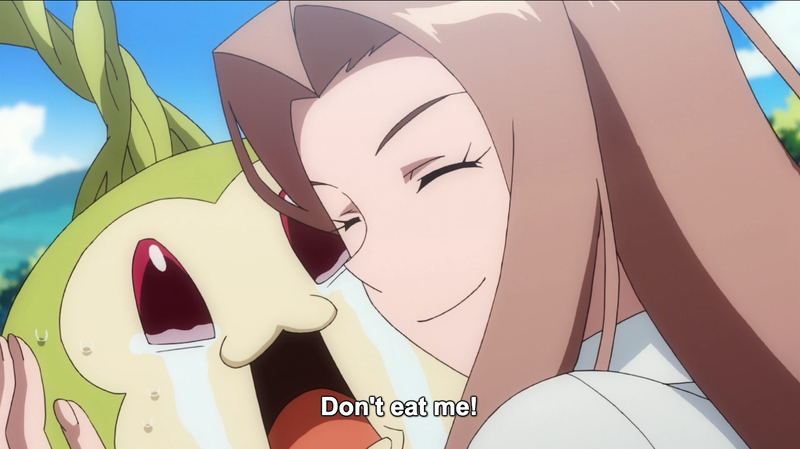 "Loss"
REVIEW: Digimon Adventure tri. Chapter 4. "Loss"
I am not ashamed to admit that I wasn’t a big fan of Confession, the third part of the Digimon Adventure sequel series that sees the Digi-Destined from our 1999 childhoods in their high school years. 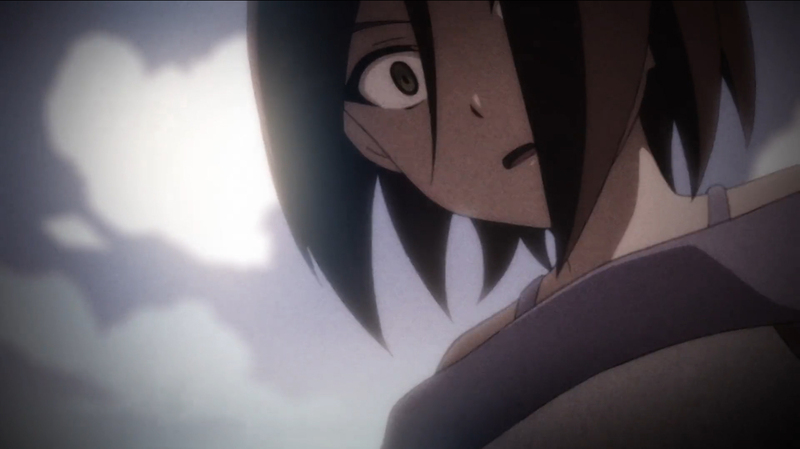 Being an extra twenty minutes longer, Confession had less action than the previous two entries in the series and spent a lot of time moping around in sad anime angst. Chapter 4, “Loss,” on the other hand didn’t waste one second before cementing itself as awesome. ​Spoilers follow in the full review after the jump. 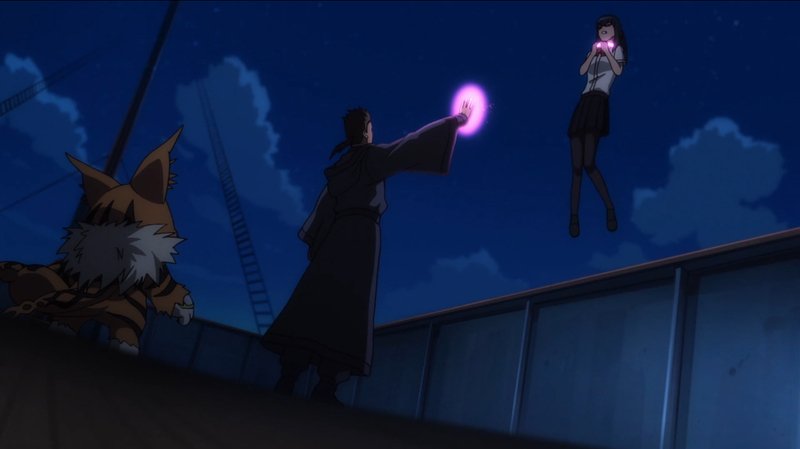 Loss spent the first few minutes proving several popular fan theories correct. It would go on to do this a few more times. First off, the mysterious men in black Daigo and Himekawa are in fact two of the original Digi-Destined who faced the Dark Masters before Tai and friends continued the legacy in 1999. Not only that, their partner Digimon became Azulongmon and the other Sovereigns. It’s a bit unclear as to who was whose partner as Daigo and Himekawa were the only children highlighted. Others were there, but it's very blink and you miss it. Tapirmon was Himekawa's partner, and a reunion with him is apparently what’s been driving her decisions this entire time. Most fan theories about Tapirmon went in the same direction as his role in this particular film: nowhere. Another theory, which is more of a world building detail, is that Digimon that die in the Real World are not reborn into Digi-Eggs. This was always kinda just a mass assumption among fans with only a few scattered pieces of evidence. None of the Digimon that died in the Digital World were explicitly said to have been reborn, and of the ones that die in the Real World two actually do come back, albeit not through rebirth. Anyway, this movie flat out confirms all of this. The one big piece of the movie that didn’t quite work for me was Sora and Biyomon, which is unfortunately the main arc we’re supposed to be invested in. Out of all of the original Digimon, Biyomon was the most clingy and in their first “focus” episode, Sora didn’t really get the whole “partner” thing and wondered why Biyomon was always following her around. Here it’s the opposite: Biyomon wants absolutely nothing to do with her because she has no idea who Sora is. But like… why is she so standoffish? Agumon got rebooted too but he still cares about food. Why is Biyomon’s entire personality now all of a sudden the exact opposite? When Loss isn’t proving 17 year old theories it’s giving us all kinds of other fan service. The eight Digimon have been rebooted, reborn without their memories of the last six years (over a hundred episodes and the movies) and the dynamics in the first arc of this film is some genius writing. Waaay back in the first episode, when the kids meet their Digimon partners for the first time, the Digimon are all, “Hey, we’ve been waiting for you,” and the kids are all, “WTF?” This time, the roles have been reversed with the Digimon scared and confused by the unfamiliar faces who know more about them than they do. Some of the best stuff in this chapter is the Digimon discovering things about their human partners. As I said a huge part of this chapter is fan service, way more than the previous parts. A big part of tri. so far has been introducing the Mega forms of Digimon that we never saw in the series. While this one does do that, it also gives some attention to the Rookies, who haven’t done much beyond some cute and emotional bits. Everyone’s signature attack is used (against a Mega… and they’re effective) even Salamon, who kinda uses her attack for no reason. Yeah that’s another one. Were you bummed as a kid that we never saw a lot of Salamon? Well this movie has a lot of Salamon. The final segment is where the action is… supposed to be. We get the return of WarGreymon and MetalGarurumon in a quick, offscreen evolution. Everyone else? Biyomon Digivolves all the way to Phoenixmon, her Mega level, first. With no break between evolutions. 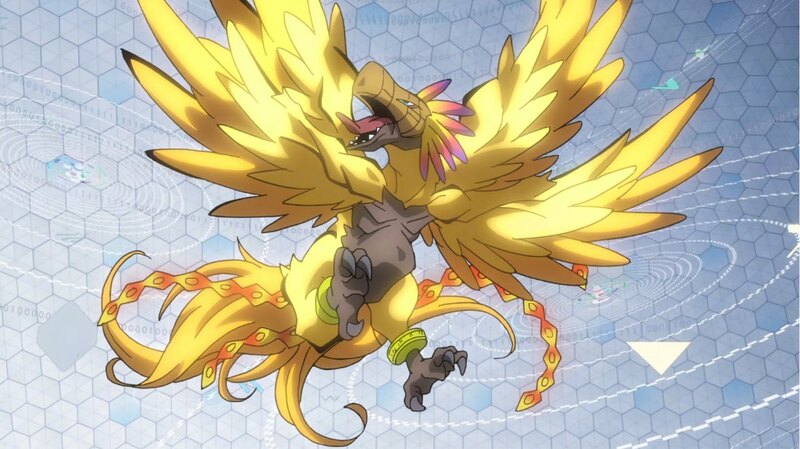 Biyomon to Birdramon, Birdramon to Garudamon, Garudamon to Phoenixmon. It would’ve been nice to have seen them pop off a quick hit with their signature attacks between evolutions, which is how Rosemon and Vikemon were handled in Chapter 2. Chapter 4 also introduces us to Patamon’s Mega, Seraphimon. It comes out of nowhere, like two seconds after Biyomon. I don’t even think Phoenixmon does anything before Patamon digivolves to Angemon, and then Angemon digivolves to MagnaAngemon, and then MagnaAngemon digivolves to Seraphimon. And then, for no reason at all, Tentomon digivolves to Kabuterimon, Kabuterimon digivolves to MegaKabuterimon, and MegaKabuterimon digivolves to HerculesKabuterimon. I’m writing them out every time so you understand this: almost half of the climax is complete, fully animated evolution sequences. It’s a total of ten, which includes Salamon to Gatomon which I was pretty okay with but the problem is that the whole thing goes on forever and HerculesKabuterimon doesn't even really do anything. It was obvious padding and kind ruins these big fan service moments. We always wanted to see the other Megas as kids, and here are are thrown in with boringly long evolution sequences for almost no reason or payoff. As for the greater mythos involving Meiko and Meicoomon, Loss does what all other films have done so far: solve one mystery and then bring up a dozen more. My biggest gripe with this was Dark/Evil/Black Gennai explaining why he looked like Ken in Chapter 2. The Digimon Emperor disguise was just an avatar to allow him to appear in the Realm World. But like… Wouldn’t a man in a black robe be less noticeable than a kid walking around in a Halloween costume? He clearly turned into Ken just so they could put it in the trailer so the fandom would talk about it. Problems aside, Loss was a great entry in this series. It felt a lot like classic Digimon, especially when they put a new spin on the almost traditional split up by jiggling up the cast until they’re all separated from their partners. The action that we did get (when they weren’t digivolving) was cool and Phoenixmon’s de-digivolution sequence was beautiful. We’re approaching the end fast and the hype training is at full speed! I can’t wait for Chapter 5. Click here to watch Digimon Adventure tri. Chapter 4 "Loss" and click here to pre-order the U.S. release of Chapter 1 "Reunion" with English and Japanese dub tracks on Blu-Ray and DVD.